Son of : Alfred Albert Ash and Emily Ann Ash (née Turner), of Isle of Wight. Born : 19th June 1890, Ryde, Isle of Wight. Married : 1915, Elsie May Savill at St Michael's Church, Swanmore, Ryde. (She was b. 24th November 1891 Ryde, d. 27th March 1974 Newport Hospital). Son Desmond Charles, (b. 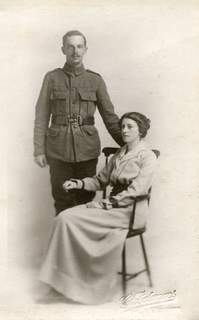 11th March 1918, Ryde, d. 25th May 2010, Ryde). Occupation : Mineral water company representative, for Gould, Hubberd and Randall, Ryde. 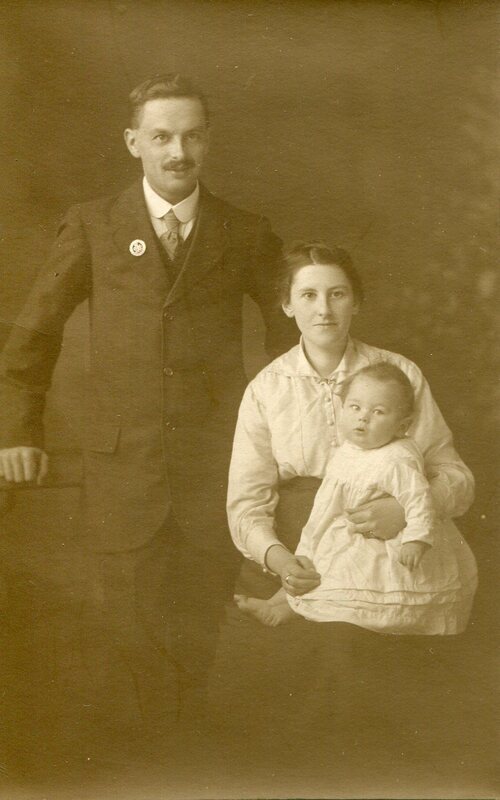 1891 : Alfred and Emily Ash, with their children including Charles aged 9 months, are at Home Dale, Hope Road, Elmfield (Ryde), Isle of Wight. Alfred Ash is a Garden Labourer. 1901 : Alfred and Emily Ash, with their children including Charles aged 10, are at Home Dale, Hope Road, Elmfield (Ryde), Isle of Wight. Alfred Ash is a General Labourer. 1911 : Alfred and Emily Ash, with their children including Charles aged 20, are at Lindum, St John's Avenue, Ryde, Isle of Wight. Alfred Ash is a General Labourer, Charles Ash is a Mineral Water Maker. 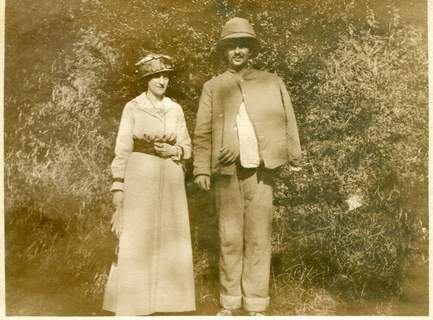 1939 Register : Charles and Elsie Ash are at 43 Church Street, Ryde. Charles Ash is a Clerk Traveller for a Mineral Water Company. 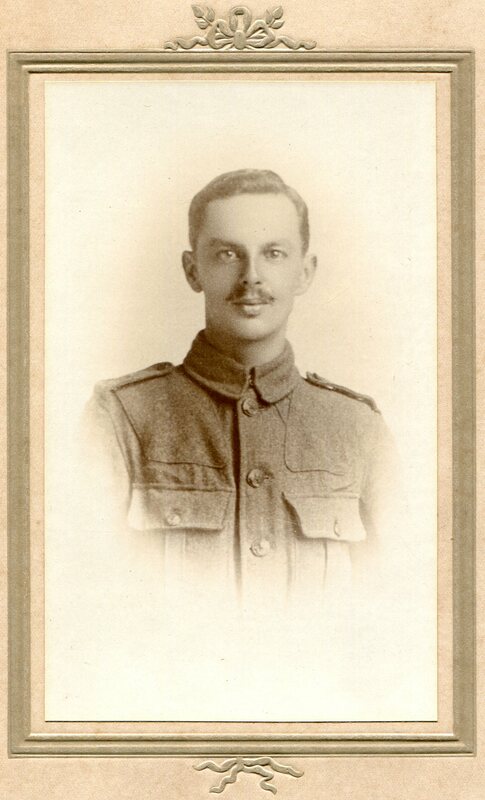 Rifleman 8/1658 1/8th Bn Hampshire Regt (Isle of Wight Rifles) 1915. Disembarked 10th August 1915, took a ricocheted bullet in the left shoulder at Suvla Beach, Gallipoli. 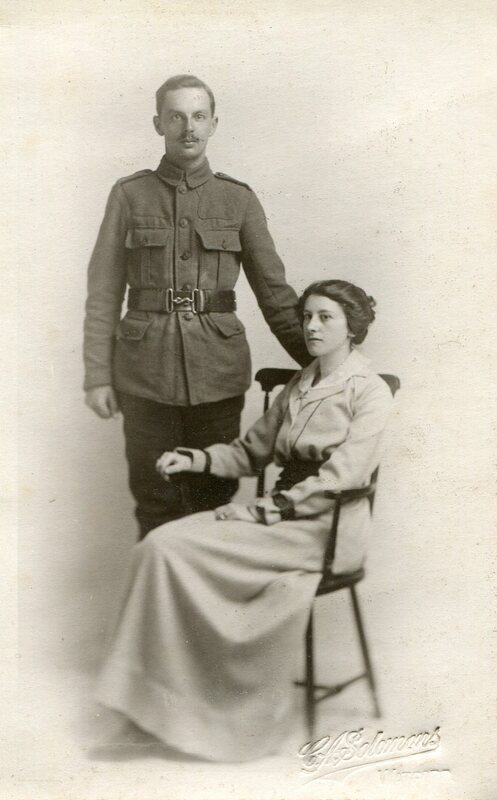 Invalided out before IW Rifles attacked again 12th August 1915. Discharged 10th August 1918 under Regt. no. 380074. Died : 19th December 1984, Ryde, Isle of Wight. Photos of Charles and Elsie Ash, and their son Desmond. Clare Ash for photographs and other information. Charles Albert Ash was her husband's grandfather.